The original article can be found online at https://doi.org/10.1007/s10295-019-02156-8. The article Development of an autotrophic fermentation technique for the production of fatty acids using an engineered Ralstonia eutropha cell factory, written by Zhongkang Li, Bin Xiong, Li Liu, Siwei Li, Xiuqing Xin, Zhi Li, Xueli Zhang, ChangHao Bi, was originally published electronically on the publisher’s internet portal (currently SpringerLink) on 27 February 2019 with open access. 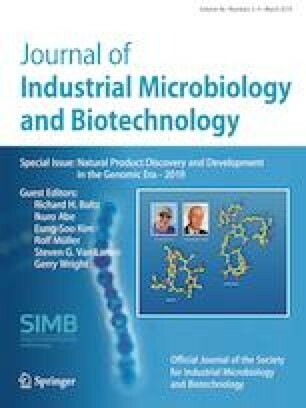 With the author(s)’ decision to step back from Open Choice, the copyright of the article changed on 23 March 2019 to © Society for Industrial Microbiology and Biotechnology 2019 and the article is forthwith distributed under the terms of copyright.